In October 1998 in the middle of the prairie outside Laramie, Wyoming, Matthew Shepard, a 21 year old student at the University of Wyoming, was tied to a fence post, severely beaten, robbed, , tortured and left, alone, to die. His body -- battered, bloody, barely clinging to life -- was discovered eighteen hours later. He was rushed to the hospital and put on life support. He died five days later. The reason for this brutal crime? Matthew Shepard was gay. The hate crime attracted vast attention worldwide, bringing sexual discrimination and violence to the forefront of public discourse. The Tectonic Theater Project, led by their founder Moisés Kaufman, traveled to Laramie in the aftermath of the murder with the intent of creating a theatrical portrait of a town coming to grips with horrible, hate-fueled violence. Over the course of a year and a half, the group interviewed over 200 subjects, some directly related to the case and some regular citizens of Laramie. 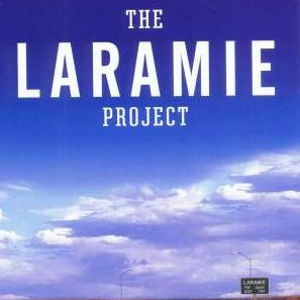 Out of these interviews, journal entries, and found texts, The Laramie Project was born. Hailed as one of the most captivating and encompassing pieces of contemporary theatre, the play shocks, challenges, and moves all who watch it as it reveals the lowest depths of hatred and greatest heights of compassion that lies within all human beings in any seemingly average community.